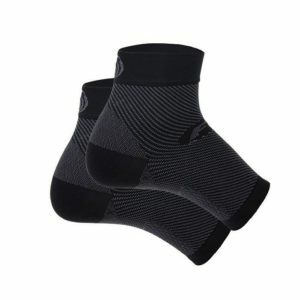 If you suffer from Plantar Fasciitis look no further than Feetures Plantar Fasciitis Relief Sock Black. Feetures patented Targeted Compression provides support and relieves heel pain by lifting, stretching and stabilizing the plantar fascia. Feetures!, the world leader in running socks,brings you the only socks using our patented Targeted Compression, a unique platform that enhances fit and feel to provide support and relief for plantar fasciitis.